It is that time of year when the sun is out, the weather is hot and vacations are on everyone’s mind, but it won’t be long until the late summer and early fall athletic physicals begin for junior high and high school sports. The athletic physical is an important part of making sure that all students are physically fit to participate in their activity, but it is not the only important aspect of the yearly health maintenance examination. Parents and children often think of the exam as a quick physical, but there is much more to explore to ensure the health and resiliency of the adolescent. One of the important issues that needs addressed is SLEEP. Adolescents are notorious for staying up late and sleeping until noon, but are these behaviors best for their health? Research has shown that around puberty the circadian rhythm changes and the trigger to fall asleep changes so that instead of getting sleepy at 8-9 p.m., the teen doesn’t get the signal until 10 or 11 p.m. This is called “sleep phase delay” by those in the specialty of sleep medicine. Although it is a normal developmental change, it can be a real problem when school starts up again in the fall and the teen is forced to deal with early morning school awakenings, long days at school, athletics, band practices or possibly a job until early evening followed by homework. It is especially important in these days that the teen is able to fall to sleep with little effort and get the nine hours of sleep recommended by the experts. Avoid screen time just before bed. It’s encouraged to avoid looking at the computer screen, phone, e-reader or television for at least an hour before bed. Some studies have shown that the light can reduce the level of melatonin which is one of the hormones that helps us get to sleep. Avoid strenuous exercise for a couple of hours before bed, but do try to get regular exercise. Avoid any drinks or foods with caffeine in the evening and make sure to get a good dinner meal and a light snack before bed consisting of a protein and a complex carbohydrate. Some snack ideas are: a few whole wheat crackers and peanut butter, a cheese stick or plain Greek yogurt sweetened with a small amount of honey and a sliced banana. Keep the lights dimmer in the evenings and the room dark for sleep. In the morning let the natural light of the sun in. Take a warm bath or shower each night to get more relaxed before bed. Read (on paper) something inspiring or a meditation or prayer to calm the mind. Write in a journal, releasing your thoughts on paper. Keep the room a little cool and have a warm blanket available to cover up with. It is easier to fall asleep in cooler environments but getting too cold in the middle of the night can cause you to wake up. Let your ears help you sleep by listening to calm music or sounds of nature. Let your nose help you fall asleep by scenting the room with pleasing smells like lavender or chamomile. 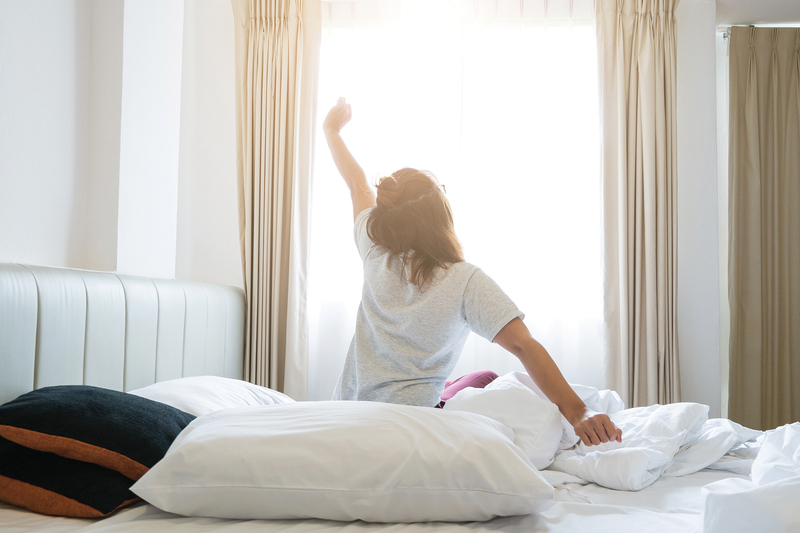 Keep in mind that good sleep helps school and athletic performance, and that poor sleep, even after trying the tips above, might indicate a need to evaluate other issues like depression, anxiety or obstructive sleep apnea. As parents, don’t avoid talking about sleep problems with your provider and as a provider, be ready to evaluate your patients for sleep disorders or mental health diseases if behavioral modification isn’t helpful. For more information about sleep and many other health concerns, visit the recommended website www.healthychildren.org. 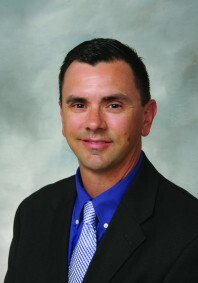 Dr. Michael Metts is a pediatrician at Mercy East Pediatric Clinic. To schedule an appointment with Dr. Metts, please call (515) 643-2600. Next story Time to go back to school!